These days I had been reading so many benefits of drinking "Green Tea" everyday in magazines and social sites that I got tempted to re-include it in my everyday diet. I am writing 're-included" as I used to drink it some times back and then quit it as I found its taste to be bitter and not appealing. 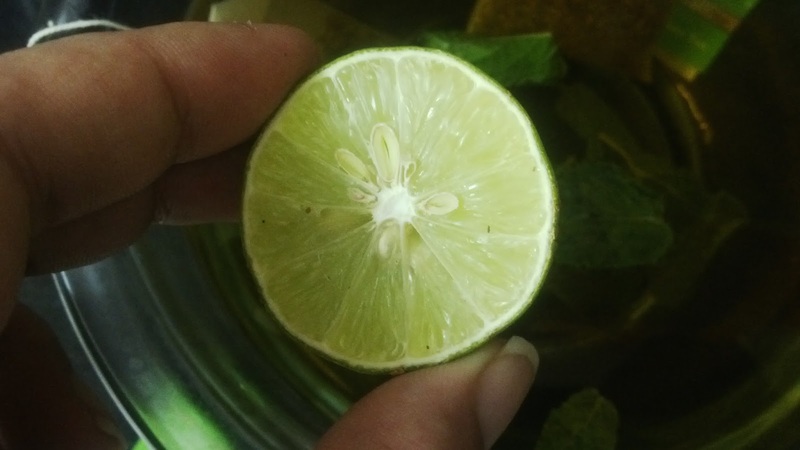 The next question arose on how to consume hot boiling cup of green tea in such sweaty summers. 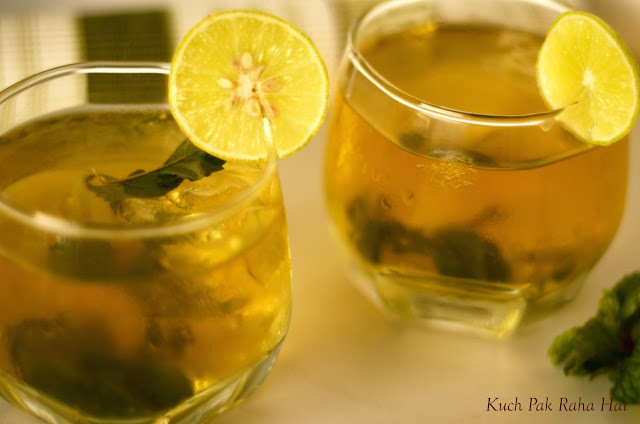 So I tried out and came up with this twisted yet tasty and cool variation of Green Tea. Now I generally keep it in fridge on day-to-day basis and drink it post workout or whenever its hot. 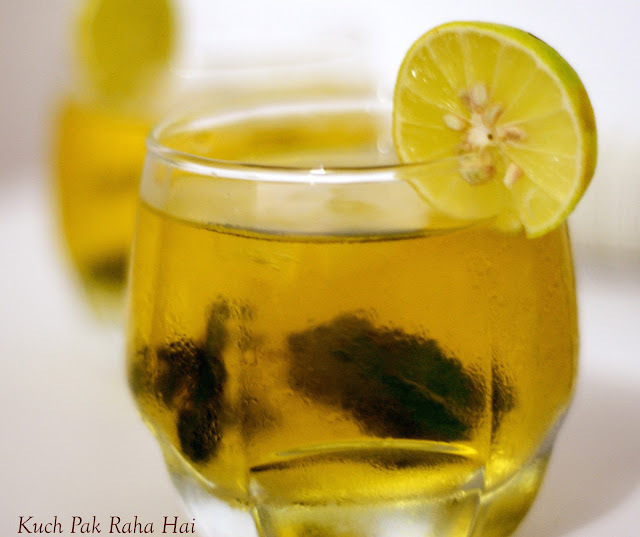 Refreshing and Healthy!! I have added rock sugar in this drink for sweetness. You may also replace it with ordinary sugar or brown sugar as well. Boil water in a pan. 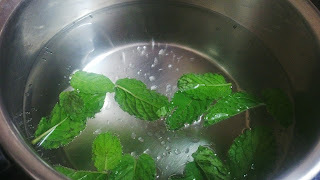 Add rock sugar and mint leaves to it and let them boil on low flame for five minutes till all the sugar is dissolved. 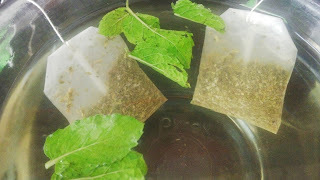 Transfer the boiled water to a pan and dip two green tea bags into it for half an hour. 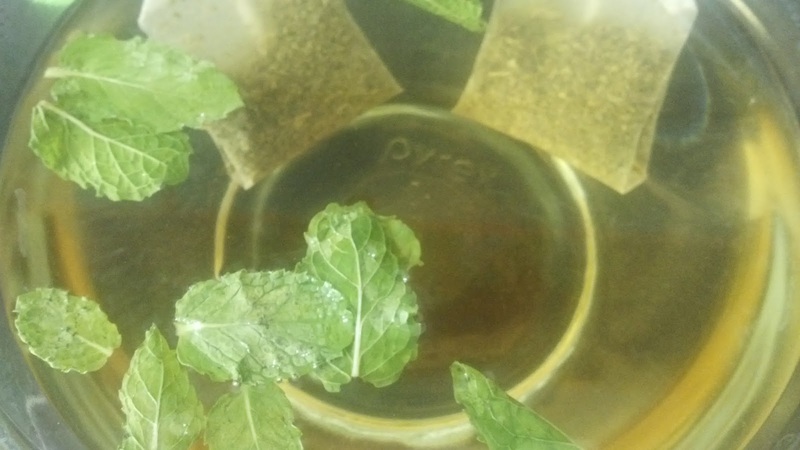 Take the tea bags out of the bowl and place the bowl in fridge for cooling down for an hour. Bring the bowl out of fridge and squeeze lemons over it. Add some ice cubes to it and serve! !